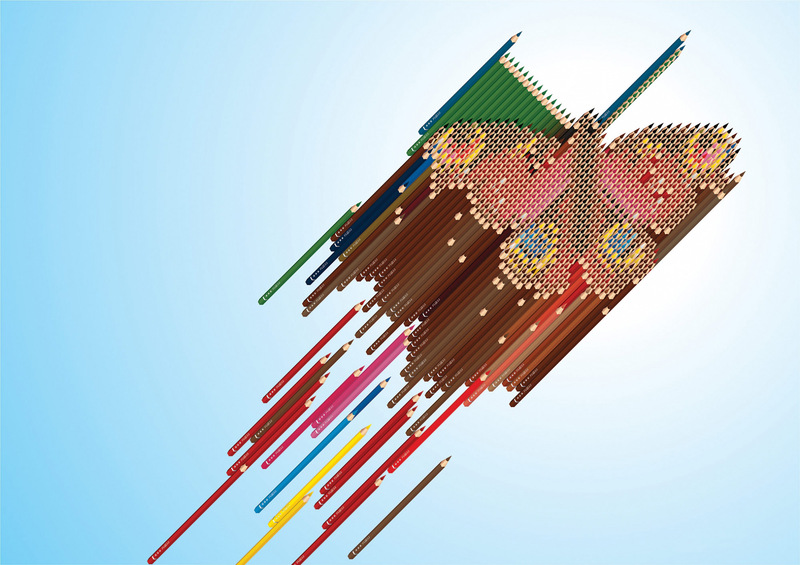 The artwork Butterfly Pencil Sculpture (also known as Butterfly Sculpture Contains 818 Pencils) forms part of FL@33's series Pencil Sculpture Illustrations. ___ The artwork was created for the launch exhibition of the book GB: Graphic Britain (Laurence King, 2002). The event took place in the former gallery space of Magma bookshop in London, Clerkenwell. A1-sized prints are available at stereohype.com. The pencils on these prints are life-sized. A postcard was also printed in December 2010. 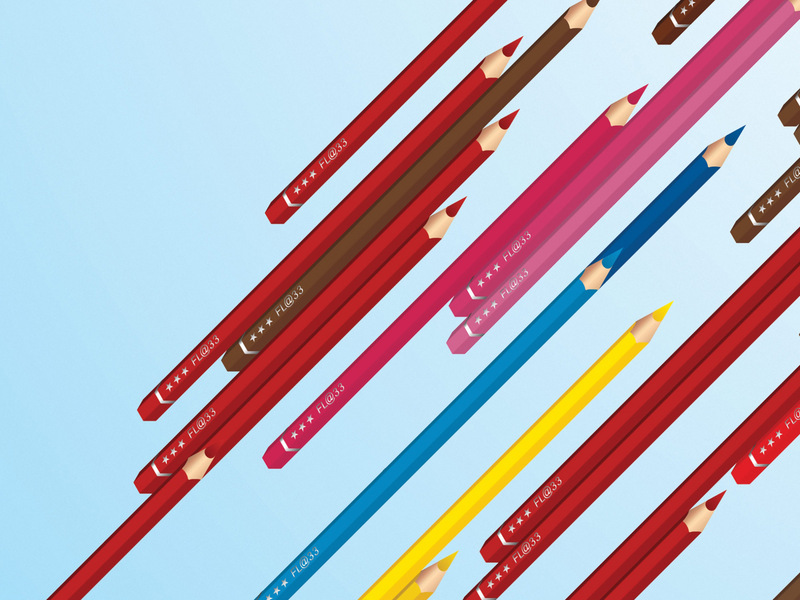 Also shown here are the two other illustrations from the series – Eye Pencil Sculpture (Eye Sculpture Contains 470 Pencils) and the Creative Review cover. Please also visit these individual projects for larger pictures and additional info.